The challenge was to get creative and make Rosary beads to celebrate Our Lady's special month. Look at what we achieved using conkers, pasta, seeds and colourful, glittery beads! You won't find Rosary beads like these on sale in the piety stall! They were totally amazing! ask Mary to pray for your special intentions? In our Religious Education lessons we read the story of the 'Call of the Disciples' and thought about reasons for and against answering Jesus's call. After careful consideration and much debating , Beech class decided that the answer was a resounding YES! It was God's plan, their destiny! Who wouldn't want to feel trusted to do such an important job? Hard? Yes! But Jesus would guide and help! Become a better person and be more loving, forgiving, understanding and compassionate? Absolutely! Who would NOT want to work for the Son of God? Simple! Our finished display of our Discipleship work! What a wonderful morning Beech class had with their visitors at our Reconciliation Inspire Workshop! We discussed what reconciliation means, made little boxes of love, reflected on the story of the Prodigal Son and finally finished our morning by joining together to pray, sing and offer our work in thanksgiving for a special time shared. Do you find it easy to forgive those who have hurt you? Do you find it easy to say sorry? Have we inspired you too? We especially remembered those who have no one to pray for them. The Year of Mercy Ends! 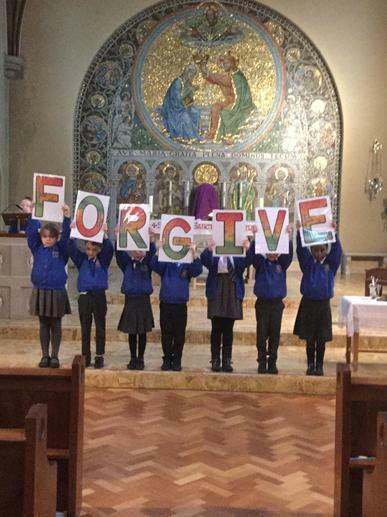 Beech class reflected on the Year of Mercy. to close the 'Door of Mercy' on this special year, which began in December 2015. Did you know that the Year of Mercy officially ended when Pope Francis pulled closed the 'Holy Door' of St Peter's Basilica in Rome? Reflect on how you can continue to be merciful. Welcome to our assembly on the life of our class saint, St. John Vianney! Did you know St. John Vianney was devoted to the Blessed Virgin Mary? During Advent Beech class became 'Advent Angels'. We took a gift tag from our giving tree, and bought the gift which was written on it. We wanted to show the patients, staff and visitors at St Mary's Hospice that we were thinking about them by doing this act of kindness. How we can be disciples of Jesus and follow in his footsteps? Are you: sorrowful, forgiving, loving, prayerful, kind, patient, helpful, reflective, compassionate, generous, repentant? Do you: treat people fairly, always make the right choices, show responsibility, set a good example, give people a second chance, have strong faith, go to Mass, listen at Mass? Are you ready to always be a Disciple of Jesus? Singing along with Dan and Emily in class! Following in the footsteps of Jesus activity! Wiggling and jiggling for the Lord! The greatest book of all on World Book Day! On Saturday 4th March 2017, we received the Sacrament of Reconciliation. It was such a special day when we received God’s forgiveness for all the times we have made the wrong choices in our lives. Thank you God for showing us your forgiveness and with your help we will make the right choices in the future. Our class display on the parable of The Lost Sheep is a lovely reminder of our celebration of the Sacrament of Reconciliation. It was such a special and memorable occasion! We couldn't quite fit 100 sheep on though! You'll be the grandest in the Easter parade! Just look at the creative Easter bonnets made by Beech class pupils. I could write a sonnet, about your Easter bonnet! What event do these three bonnets reflect? First Holy Communion is getting closer and Beech class can't wait! On Tuesday, Father Sean led our First Holy Communion Sacramental meeting. He guided us through the structure of the Mass and we were reminded about what happens during each part. Did you know that we make the sign of the cross on our forehead, lips and heart to remind us to ask Jesus to be in our thoughts, words and heart? Beech class and the adults thoroughly enjoyed the evening and would probably have still been there at 9 O clock asking questions! Someone asked, " What does JHS mean on the host?" See if you can find out! Why did Father Sean wear a red chasuble and not white for the season of Easter? Now that's a challenge! Beech class know though! Our class prayer area has now changed to reflect that we are in Easter. How many days are there in Easter? Dan Callow, a Catholic musician and song writer from One Life Music, visited Beech class to help them prepare for their First Holy Communion. 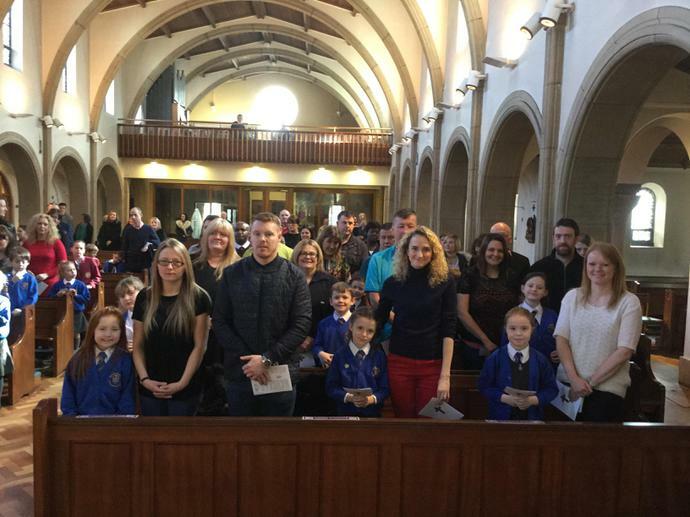 The children really embraced the day and thoroughly enjoyed the songs, games, reflections and prayer time. Dan reminded the children how important it is to live our lives by following in the footsteps of Jesus and how Jesus gave up his life for us. We remember this when we receive the consecrated bread and wine at Holy Communion. A special visitor popped in! Hello Father Sean! He talked to the class about the Pascal Candle. Do you know what the symbols on the Pascal Candle mean? It's May! 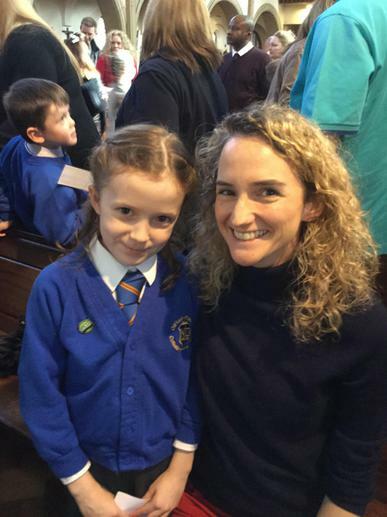 First Holy Communion has finally arrived! Yeah! We have been so proud of the way the children in Year 3 have prepared for their First Holy Communion. They have shown immense commitment and sincerity and were supported throughout by their families, who it has to be noted, needed a ready supply of tissues on the day! 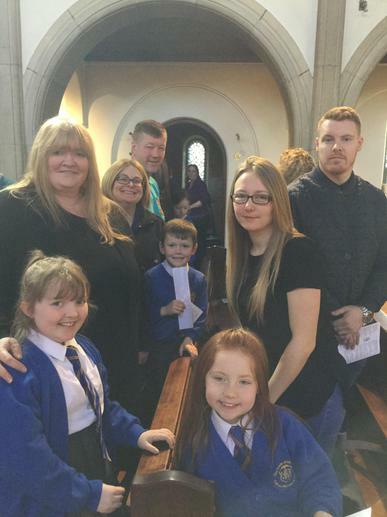 Father Sean said that they are inspirational children and we should all learn from the great faith that they have. A well deserved and accurate description of some very special children. It was a privilege to be a part of their faith journey. The sun shone as the whole school celebrated Our Lady's special month. 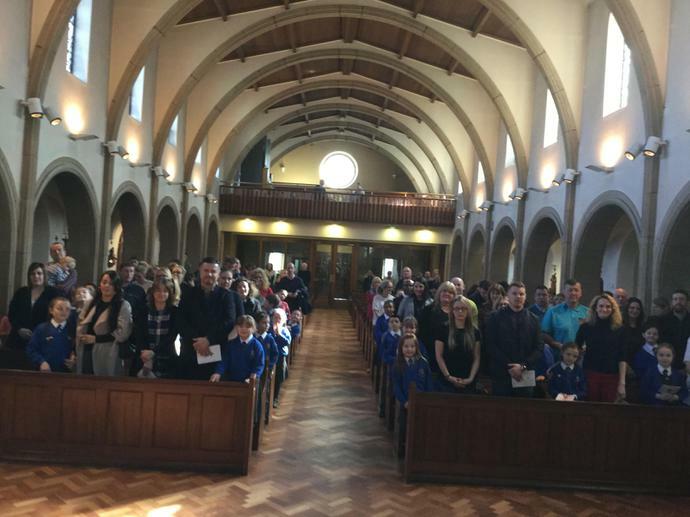 We started with a beautiful mass and Year 3 were particularly excited as it was the first time they received the sacrament since their First Holy Communion day. The children then took part in a Marian procession in honour of Mary and presented flowers at the grotto. It was a lovely celebration! The end of Easter and Beech Class celebrate Pentecost! We read the story of Pentecost and recognised the changes that the Holy Spirit brought to the lives of the Apostles. The children had fun making their doves, a symbol of the Holy Spirt. They then wrote on them to explain how the Holy Spirit can help in their lives. Holy Spirit, teach me to offer forgiveness to others. Holy Spirit help me to be brave when I am finding something difficult. Holy Spirit fill me with courage to try something new. Holy Spirit guide me to make the right choice. How can the Holy Spirit help you? I've got that joy, joy of the Holy Spirit! that transforms the gifts of bread and wine into the Body and Blood of Christ? Our class prayer area reflects that we are now in Ordinary time once more. June brings our First Holy Communion Thanksgiving Mass! 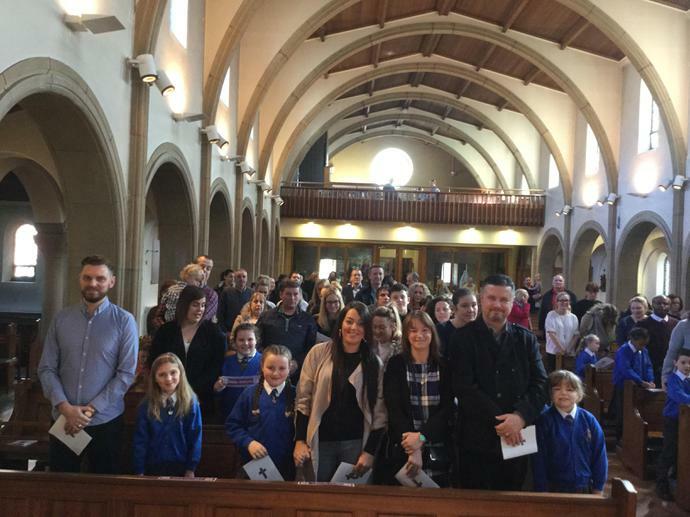 Great excitement filled the air once more, as we gathered, this time, as a whole class to thank God for coming to us in the Sacrament of the Eucharist. The sun shone down and dressed in our finery we processed, sang and read once more. After Mass we received our certificate, medal and missal to help us remember the joy of our special day. Our celebration ended with a Communion breakfast in the school hall afterwards! Delicious! Beech class are very grateful to the kitchen staff for our buffet, Miss Madden for our Communion cupcakes and Mrs David for organising such a lovely celebration! Celebrate! Celebrate, the goodness of Our Lord! Hurry up Miss, we're hungry! Looking forward to this plate full! Are you making faces behind my back? Wake up! Someone's after your food! Um! Let me think about it! Cheers! It's been a great day! Finally it was my special day too! Anyone know where mum and dad are? June 19th and we're on our way to our Retreat Day at the Columban Fathers! Practising our hymns for Mass! I will call upon the Lord! Celebrating Mass with Father Sean! The chapel was so beautiful!
" I liked playing in the gardens. " " I enjoyed making the faith bags because the things I put inside had a message. The rubber reminds me my mistakes can be rubbed away. " what I needed to do to be more like Jesus. " " I liked it because it was so peaceful and prayerful. " And one pupil said it all!
" I LIKED EVERYTHING! " Someone was celebrating their birthday! Anyone for Krispy Kreme donuts? We could manage another one! And just enjoying the the sunshine and lovely grounds! How many chickens can you count? Boo! Who's hiding in there? And there were even horses! Beech class thoroughly enjoyed our whole school vocations day. We began by thinking about Christ's vocation and all the skills and qualities he needed in his ministry. We quickly realised that they are the same as those demonstrated by many people today in the work that they do. Amazing! The world is full of people who are Christ like! There was great excitement when Herchy Boal, from the RSPCA came to talk about her vocation. We were very impressed that she works on television with Alan Davis and Jo Brand! We even googled her and there she was! 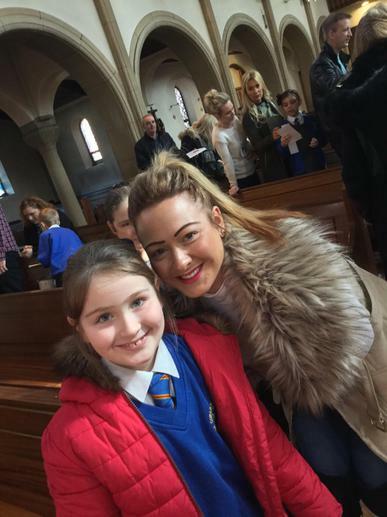 A real celebrity in Year 3! One of the children asked who her role model was and we discovered it was David Attenborough! So of course we googled him too. There were so many questions to ask and Herchy could not believe how thoughtful and challenging they were. Have you worked with animals from different countries? Which animals do you care for the most? How did you become involved in television? What would you recommend about your job? What animals are rescued the most? Have you ever been hurt by an animal? What's the worst call out to an animal you have been involved with? How do you make sure animals in your care go to a good home? Are there any animals you don't work with? And that is only a selection of the questions! I wonder if Beech class can remember the answers! Next on the agenda was Mr Egan from the West Midlands Police Force! Wow! He came with all his medals and awards for his service to the police force. We were so impressed! He has been a police officer since 1988 and we discovered that you need lots of patience, perseverance and commitment to do his job. Mr Egan told us that helping people was a very important part of his vocation. Think a few of Year 3 have been inspired to consider this career after they heard him speak. How long did it take for you to train to become a police officer? Would you want a family member to become a police officer? 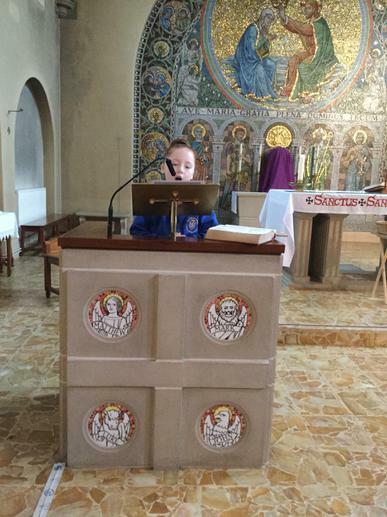 Was this your vocation when you were a child? We finished our day thinking about who God is calling us to be and reflected on the fact that God has a plan for each one of us, just as he did for St Paul. We still have work to do, so watch this space! At home we talked to our family and asked them about their vocations. Here are just some of their responses. My mum's job at the moment is a teaching assistant. She does this because she likes to help children learn. My mum works evenings in Costa Coffee. She enjoys her job and it means she can be at home for me and my brother. Mummy works at a charity which helps adults and children with movement disorders. She enjoys working for NICE. My aunty is a carer for the elderly and said her job is very rewarding. My daddy works at Aston Martin and oversees the special order vehicles. He likes cars. 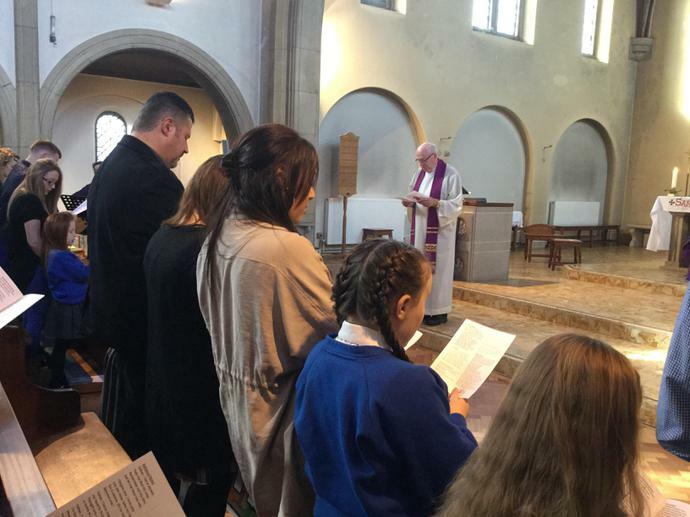 Beech class ended their work on vocations by having a class prayer service. We listened to the story of the Call of the Disciples and reflected on how they said yes to God's plan for them to support Jesus in his ministry. We offered our vocations to the Lord and trust that God has a special plan for each one of us. The perfect end to a really wonderful focus on vocation and our hopes and dreams for the future.